Cllr. Irene Winters is from Wicklow Town, Co. Wicklow. She is currently a member of Wicklow County Council. Irene moved with her family to Wicklow in 1982 where she worked with her mum for 19 years in Wicklow Travel. Since closing her business in 2010 she has been a full time public representative and a part-time student. 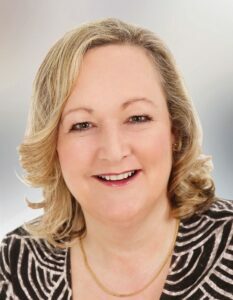 Irene was first elected to Wicklow Town Council in 2004 and had the honour of serving as Mayor of Wicklow Town from June 2009 to June 2010. Outside of the Council, Irene is involved in the Wicklow and District Lions Club and is a Director and active volunteer with Wicklow Cancer Support Limited. Irene serves on the committee that created the Sailfest in 2010, 2012 and 2014.